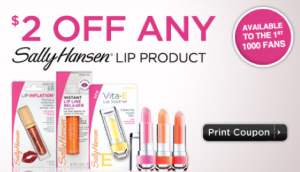 There is a new $2/1 Rite Aid Coupon for Sally Hansen Lip Product. Hurry because this offer is available to the first 10,000 fans only! Coupon is good through 6/25/11.